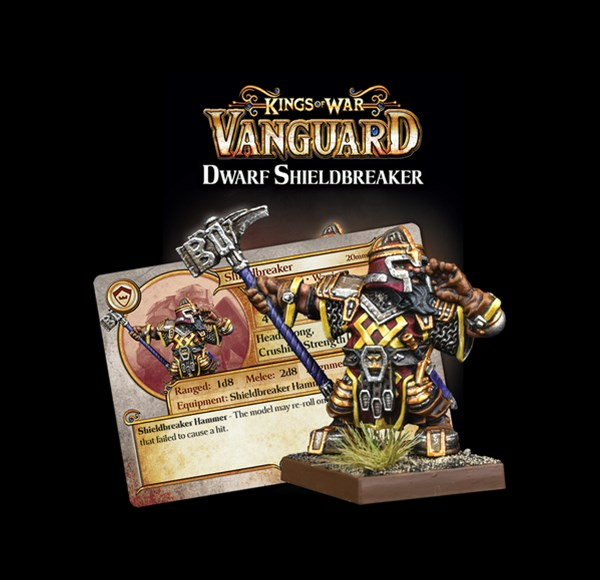 From the land of King Golloch – the Dwarfs are entering the Vanguard fray. These diminutive warriors may be lacking in size, but they certainly make up for it with hardy combat experience. 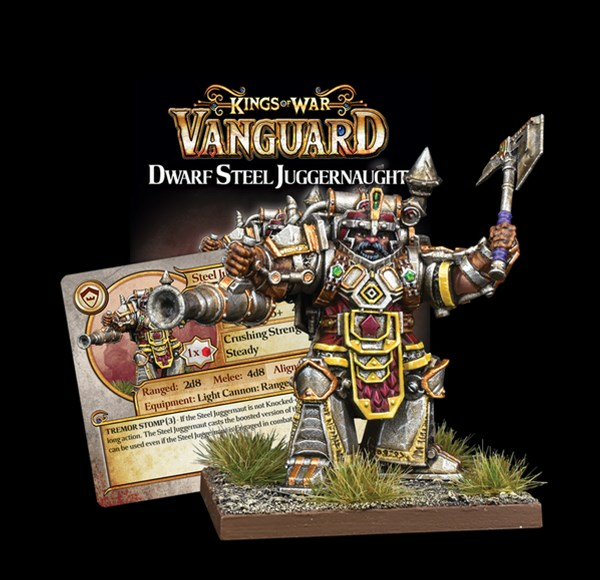 From the rookie Dwarf Levy to the mighty Steel Juggernaut, the Dwarfs have enough options to ensure their enemies tremble with fear. 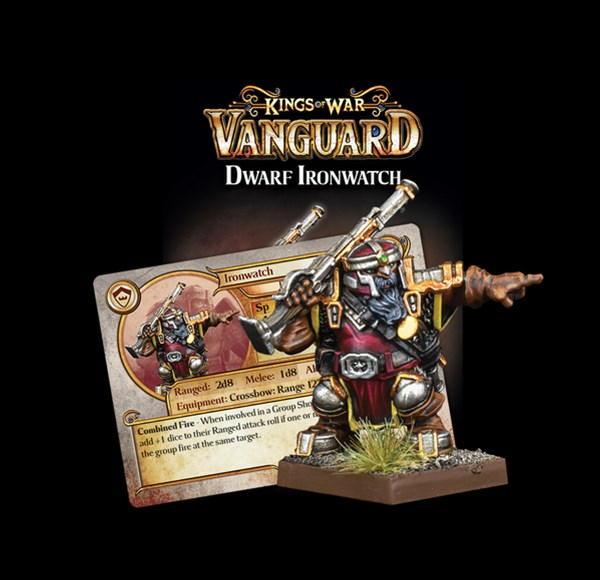 We’ll run through the awesome new miniatures in a moment, so you can start drooling over our best Dwarf models ever! 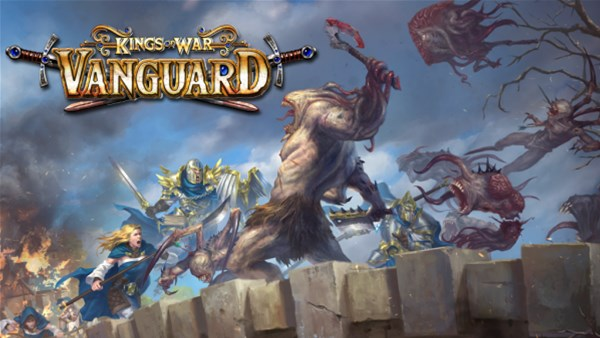 One of things you may notice is that we’ve changed the way we do a full faction release. Instead of a faction starter and faction booster, we’ve listened to customer feedback and given players more options. 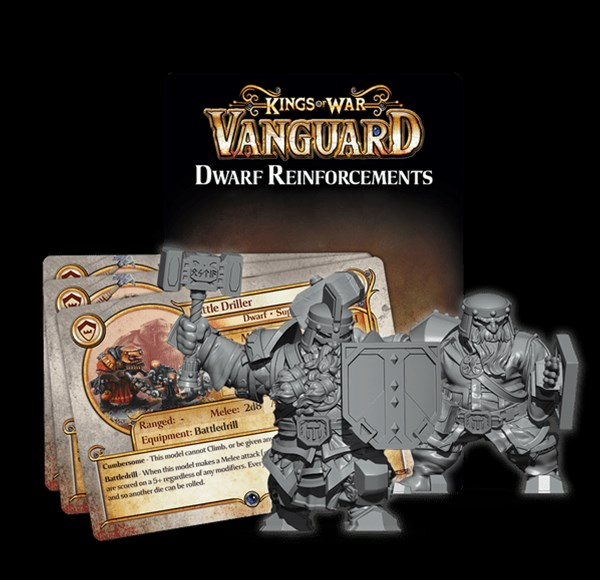 For newbies there’s the Dwarf Warband Set, which is the perfect place to start building your warband, because it contains some hard plastic grunts and superb resin Sergeant, Ironguard and Ranger, along with a range of warband cards. 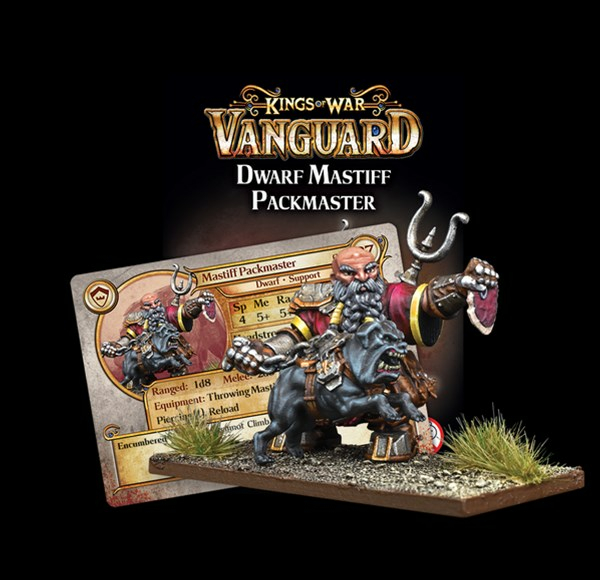 After you’ve picked up the Warband Set, you’ve then got the option of a range of support packs, which contain individual resin miniatures. 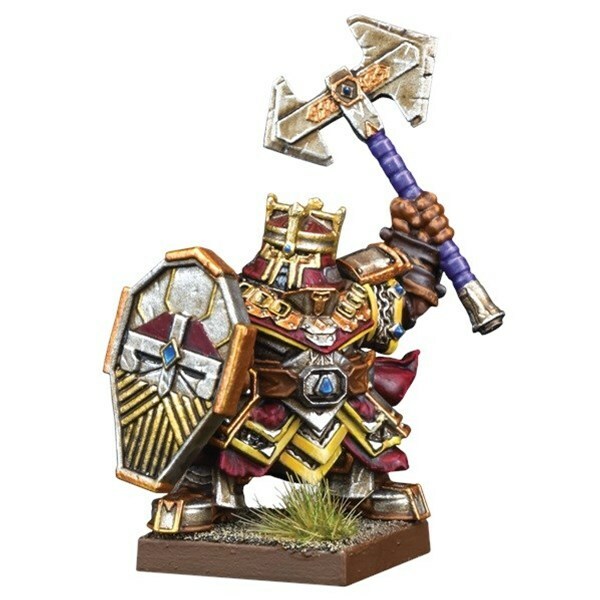 This is to ensure players can pick and choose the miniatures they want to add to their warband, rather than buying a booster set with three miniatures in. This is a format we’ll be following throughout 2019 with the goblins, REDACTED, REDACTED and REDACTED. 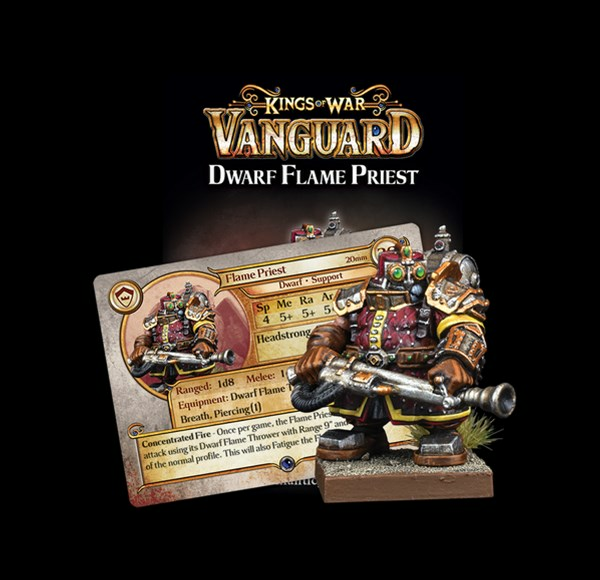 Anyway, enough of all that, let’s take a look at those sweeeeeeet Dwarfs.